On 6 June 1994, BRIAN LARA became the first and the only player to score 500 runs in a First Class Game. 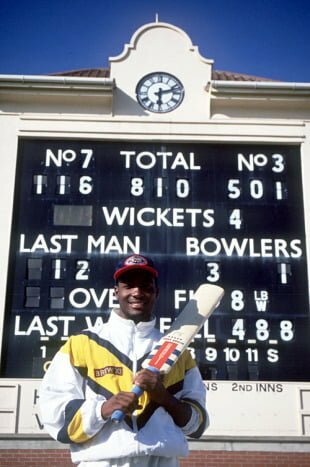 He was unbeaten on 111* overnight and smashed 390 runs in a day (6th June 1994) and scored 501* for Warwickshire vs Durham at Birmingham. His 501 runs came in 427 balls including 62 fours and 10 sixes in the second innings of the match. Durham declared their first innings on 556/8 in 156.5 overs and in reply Warwickshire scored 810/4 in just 135.5 overs which is a Run Rate of 5.96. The match ended in a Draw! Brian Lara overcame Hanif Mohammad’ record of 499 runs in a FC match in his 501*. Hanif Mohammad who played Test Cricket for Pakistan, scored 499 runs for Karachi vs Bhawalpur at Karachi on 11 January 1959. Unfortunately he was run out on 499 while trying to get to 500 runs. He himself overcame a record which was set 29 years ago then by Sir Don Bradman who scored 452* in 1930. Brian Lara broke this 35-year-old long-standing record and registered the first 500 runs in a First Class match. Its been 19 years long and still no one has overwritten him. And the record is still said to stay for many more years. Brian Lara is also the only batsman to score 400 runs in a Test Innings. He overcame 380 runs of Matthew Hayden (Aus) vs Zimbabwe in October 2003. It took only 6 months for Brian Lara to clinch his record for highest individual score in tests. He broke a long standing record of 365* runs by Sir Garry Sobers (WI) vs Pakistan in 1958. Brian Lara overcame this after 36 years it was scored. Brian Lara has his names in both lists of highest scores – Highest Individual Score in Tests and Highest Individual Score in First Class Cricket. He is the only player to score 500 runs and 400 runs in First Class Cricket and Test Cricket respectively. Note: In earlier days, only minutes were recorded and not balls. In case of Brian Lara’s innings its 427 balls. 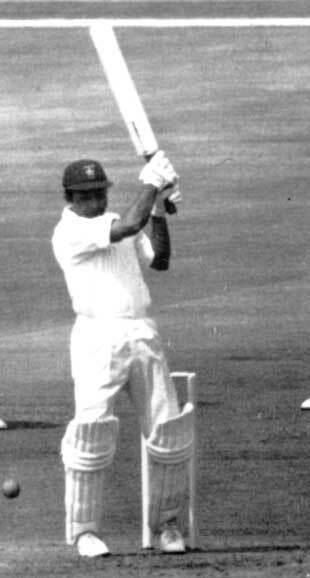 Bhausaheb Nimbalkar is the only Indian to score 400 runs in a FC innings. Brian Lara and Wally Hammond are the only players to score 2 400s in First Class Cricket. Archie MacLaren is the first batsman to score 400 runs in a FC innings.